Bogner HR, et al. Integrated Management of Type2 Diabetes Mellitus and Depression Treatment to Improve Medication Adherence: A Randomized Controlled Trial. Ann Fam Med. 2012;10(1):15-22. Treatment Adjustment and Medication Adherence for Complex Patients With Diabetes, Heart Disease, and Depression: A Randomized Controlled Trial. Ann Fam Med 2012;10:6-14. Medication nonadherence, inconsistent patient self-monitoring, and inadequate treatment adjustment exacerbate poor disease control. 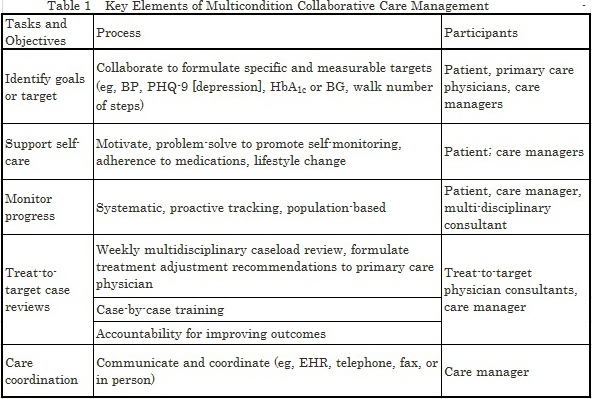 In a collaborative, team-based, care management program for complex patients (TEAMcare), we assessed patient and physician behaviors (medication adherence, self-monitoring, and treatment adjustment) in achieving better outcomes for diabetes, coronary heart disease, and depression. 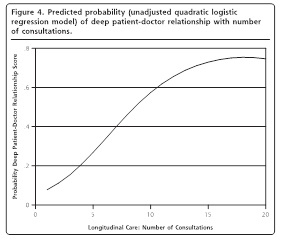 A randomized controlled trial was conducted (2007-2009) in 14 primary care clinics among 214 patients with poorly controlled diabetes (glycated hemoglobin [HbA1c] ≥8.5%) or coronary heart disease (blood pressure >140/90 mm Hg or low-density lipoprotein cholesterol >130 mg/dL) with coexisting depression (Patient Health Questionnaire-9 score ≥10). In the TEAMcare program, a nurse care manager collaborated closely with primary care physicians, patients, and consultants to deliver a treat-to-target approach across multiple conditions. 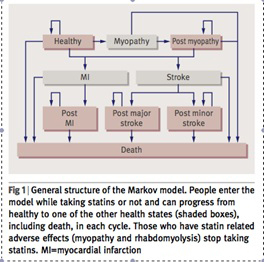 Measures included medication initiation, adjustment, adherence, and disease self-monitoring. Pharmacotherapy initiation and adjustment rates were sixfold higher for antidepressants (relative rate RR=6.20; P<.001), threefold higher for insulin (RR = 2.97; P <.001), and nearly twofold higher for antihypertensive medications (RR=1.86, P<.001) among TEAMcare relative to usual care patients. 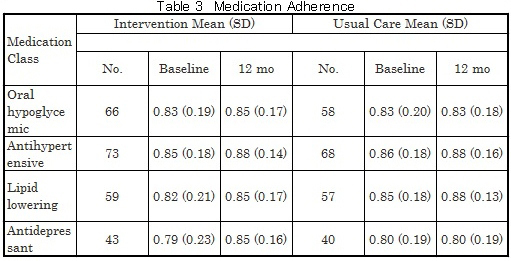 Medication adherence did not differ between the 2 groups in any of the 5 therapeutic classes examined at 12 months. TEAMcare patients monitored blood pressure (RR = 3.20; P <.001) and glucose more frequently (RR = 1.28; P = .006). Frequent and timely treatment adjustment by primary care physicians, along with increased patient self-monitoring, improved control of diabetes, depression, and heart disease, with no change in medication adherence rates. High baseline adherence rates may have exerted a ceiling effect on potential improvements in medication adherence. Matthew J. RIdd et al. 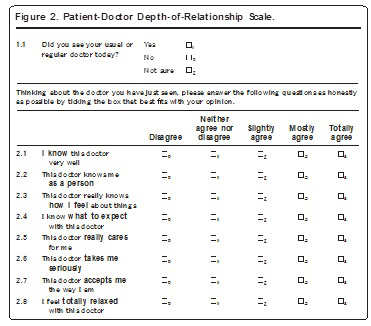 Patient-Doctor Depth-of-Relationship Scale: Development and Valication. Ann Fam Med 2011;9:538-545.